It goes without saying that buying or selling a house is one of the biggest decisions you’ll ever have to make. So, as you’d expect having your sale fall through can be pretty devastating, not just on your emotions but on your bank balance too. With the property market particularly volatile, and with associated costs continuing to rise, we decided to take a closer look at what happens when a property sale collapses; how much it can cost and and what you can do to prevent it. It’s estimated that a staggering £818million is lost through the collapse of house sales each year, with it costing the average seller £3,000 and potentially breaking a chain that will cost others too. Recent research shows that over 300,000 house sales fall through each year in the UK, with over 10% of people suffering a loss of at least £5,000. Increased costs are incurred by both buyers and sellers, with it only taking one part of the chain to break for a whole series of property deals to collapse. It’s estimated that around two thirds of property sales that collapse are down to the buyer, with sales higher up the chain accounting for around a fifth of broken down sale agreements. Surprisingly, only 6% of collapsed deals were due to substandard surveys carried out on a seller’s home. There are a whole host of reasons why a property sale may fall through, and ultimately it will cost both buyer and seller money, with the latter usually losing out most. One major reason for the collapse of a sale, and the most frustrating for sellers, is down to the buyer not having their finances in order. This affects around a third of sales that fall through, with an incredible 69% of deals overall breaking down due to the buyer, leading to many believing financial checks should be made before a buyer can even place an offer on a property. The buyer simply changing their mind is another reason many house sales collapse, with this affecting almost 40% of collapses, a much more significant proportion compared to sellers accepting a higher offer late on. Around one in 10 collapses is due to the practice of gazundering, in which the buyer places a lower bid just before contracts are exchanged. 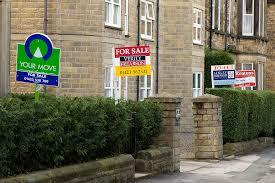 On the opposite side, around a third of property sales collapsing is due to the seller. There are number of reasons for this, including the seller accepting a higher offer shortly before the contracts are exchanged. This is one of the biggest worries for buyers, while a break in the chain from the seller is also one of the main reasons for a collapse. It can leave both buyer and seller significantly out of pocket. Data has revealed that the average collapse of a property sale costs on average £2,727 but as much as £5,000 for one in 10. There are currently no laws in the UK that prevent a buyer or seller pulling out of the deal before a contract has been signed, so a verbal agreement means absolutely nothing until that point. Sellers can be particularly out of pocket, with a quarter revealing they’ve lost money on legal and conveyancing fees before a buyer pulled out of a sale. Additionally, over 10% of people also revealed they’d lost money on legal search costs and 15% in surveying for a property they were then going on to buy. Naturally, this is putting large levels of distrust within the housing market, with many now staying put despite wanting to upscale or downsize. A survey found that approximately 20% of homeowners are now worried about putting their house on the market due to the nature of gazumping, while a third think the risk of a chain breaking is far too high. Due to the nature of the market and buyers and sellers having no legal obligation until the contracts are signed. There are however some steps you can take to help protect yourself against a property sale falling through. Naturally trying to achieve a quick house sale is one of the best ways to avoid these problems. The less time the process takes, the less chance of a U-turn from both buyer and seller, and less opportunity for a higher bid to come in. Additionally, if you’re a seller, accept an offer wisely. A previous collapse will leave a footprint and you’ll be able to understand a lot about a buyer, and indeed vice versa, from what happened during that process. Assess your individual circumstances and decide what is likely to be the best deal for you. The highest offer may not always be the best one, it’s a long drawn out process remember. You may be better off taking a lower offer from a couple looking to make a new home, than a higher one who is simply expanding their property portfolio. At Property Rescue we can help. We know how frustrating the market can be, particularly if you have been on the unfortunate end of a property sale collapse. We’ll buy any property from you and can offer you a quick sale and can exchange contracts in as little as 48 hours. This means that if you do end up in a broken chain, we can help and get your sale back on track in no time. If you’d like further information don’t hesitate to get in contact with us today, where our expert team will be there to help.